The fast-casualAloha Poke continues to expand with its newest addition across the street from Loyola University. The chain, with locations nationwide and nine outposts in Chicago alone, has opened the doors to its new eatery at 6462 Sheridan Road in Rogers Park. Aloha Poke allows diners to make their own custom creation. Start with a base of white rice, brown rice or mixed greens, then select a protein like salmon, tuna and tofu. Next, add toppings like pineapple, avocado and seaweed. Finish it off with a sauce (wasabi, sesame oil and yuzu ranch, to name a few). With a four-star rating out of two reviews on Yelp so far, Aloha Poke has made a promising start. 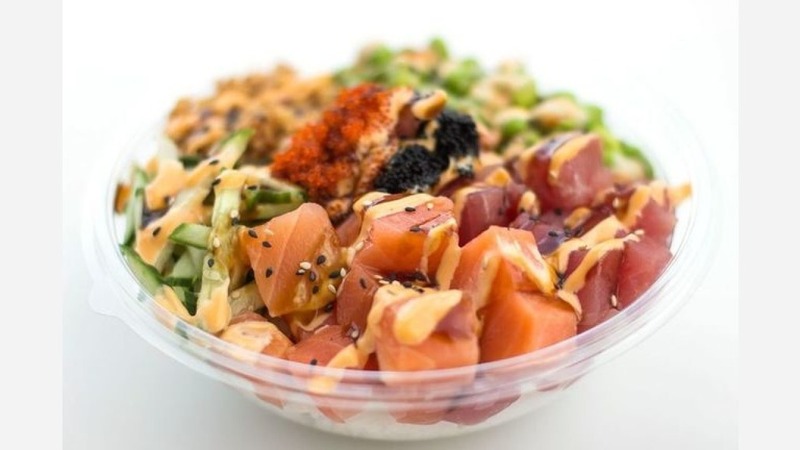 Diana M., who reviewed the new spot on July 2, wrote, "I recently fell in love with poke bowls so I had to try out this place in my neighborhood. Located steps south of the Loyola red line stop this is convenient for a healthy dinner on the way home." Yelper Chandra T. added, "Crunch bowl is worth a try. Perfect naked salmon. Next time I'll sub out the edamame. Staff is pleasant and place is clean and quaint. Location is right across from Loyola on Sheridan and makes for the optimal place to grab a quick bite in between class." Intrigued? Stop in to try it for yourself. Aloha Poke is open from 10 a.m.-10 p.m. daily.